Launching linen on our online store was a long term dream for us, something we had dreamed up when Zana had just started out but we had to be patient… Zana as a business has grown organically to what it is today, no major investors or big scary loans! With this in mind you can understand why we had to wait, we had to grow our business financially before taking on the set up costs to produce the volumes of products we do… 4 years down the line our dreams came true and today we launched our very own statement linen range! 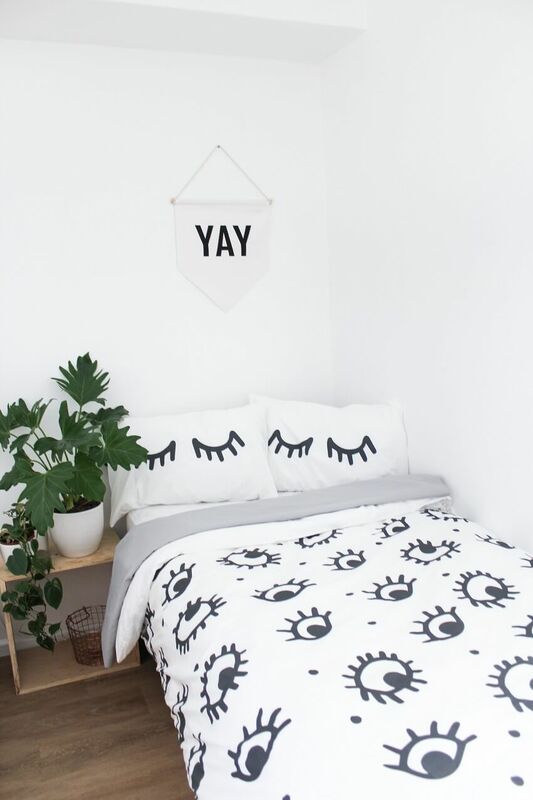 You may remember towards the end of 2015 we partnered with Superbalist to bring you these fun, bold and totally cute duvet covers and pillow cases, this partnership played a big role in us for-filling this dream. Above: A flash back to our smaller studio space where we prepared and packed all Superbalists orders. Want to know more about the design process? All of our designs start off with sharpie on paper. (Why Sharpie? It’s easier to scan in an vectorise a bolder shape.) We then scan in, fix the shapes and then make up the patterns. Who designs everything? It’s a question we often get! Well for this bedding range we really all did something. 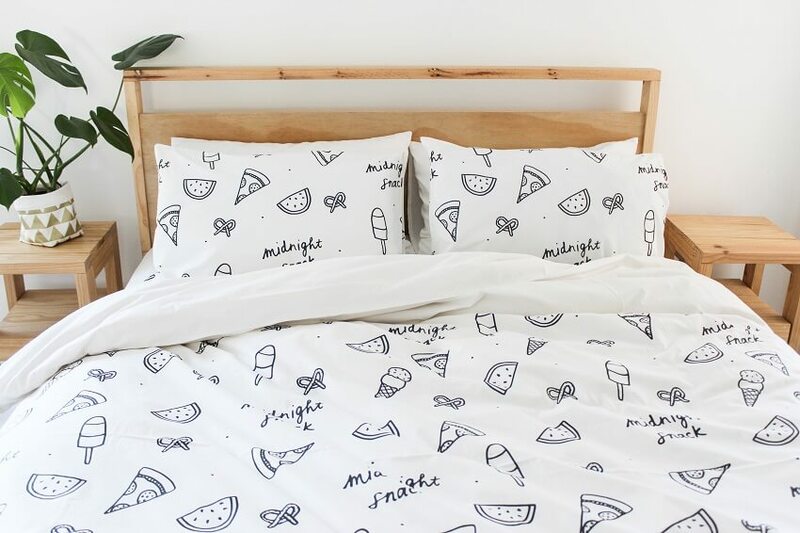 Melissa is the lady with the ideas, she specifically inspired the midnight snack duvet set and quite a few more of the designs! Nikki and Robyn do the computer work in Illustrator (knowing the programs takes some practice) and then we print out the mock ups, all hash it out in a meeting and let everyone say what they think. Sue constantly guiding us on how to set everything up at the right size and scale. Sue also spent a while mixing ink in the studio to get the perfect shade of grey that is used in most of the linen. From there we work on the feedback and get it to what we think is perfect. The designs are then sent off to get screens made for printing. 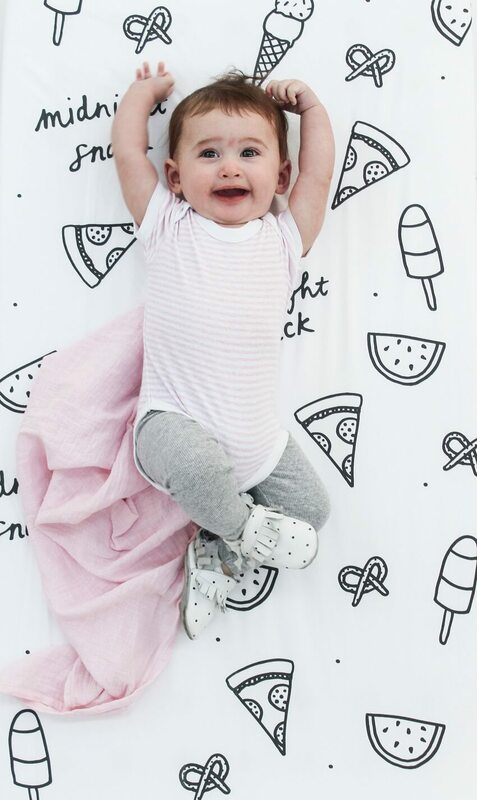 Our super soft & totally fun pattern linen available by popular demand in a variety of bed sizes, from fitted cot sheets to single and all the way up to king size! All of our linens fit standard South African duvet sizes. We always recommend going 1 size up from the bed you have for a fuller duvet look. 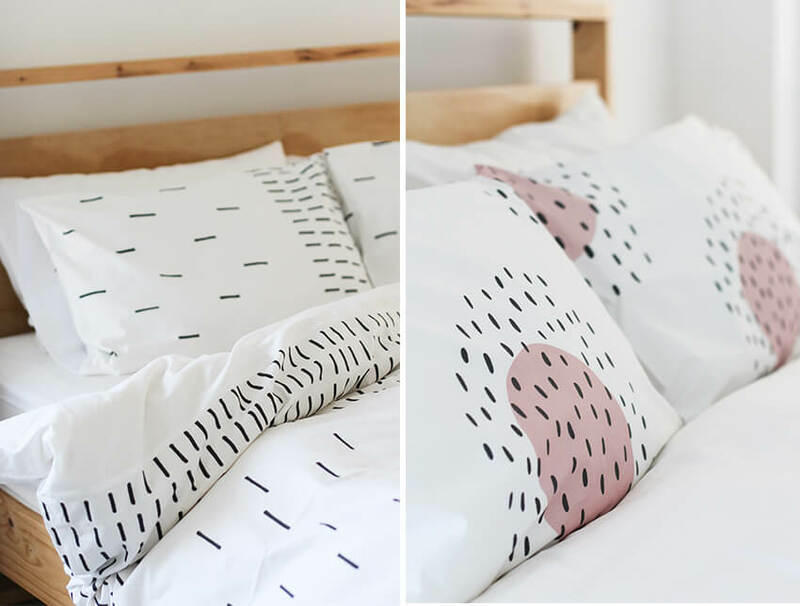 Our linen is a white 100% Cotton 200TC percale base fabric with a black print, professionally screen printed in Cape Town! Quality and being locally made are two things that were really important to us!